As a horror fans, I'm always fascinated with the movie excitement and shock moments even if most of the times they scared me like hell. That's why I often can't keep my gaze whenever I go for the horror movies. 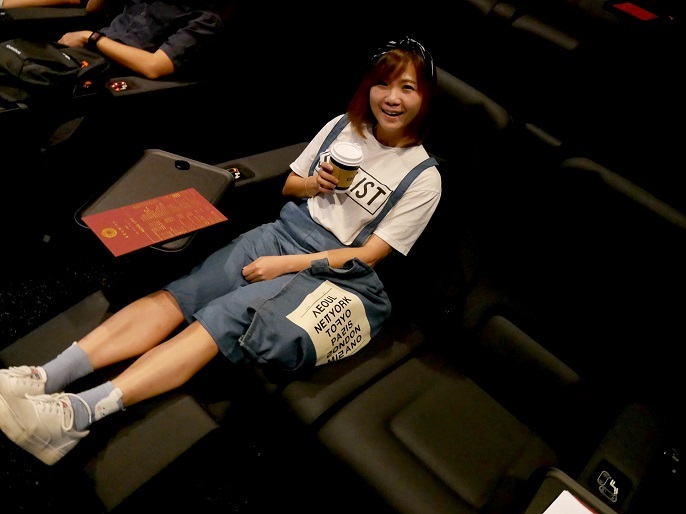 Just a week ago, I was invited to a premiere movie show at the new HBO cinema in The Starling Mall, Damansara Uptown. If you are also a horror movie fans, then I've got a new horror movie for you today! Haunted Hotel 怨灵 is directed by the award-winning scriptwriter-turned-director, Ryon Lee 李勇昌. 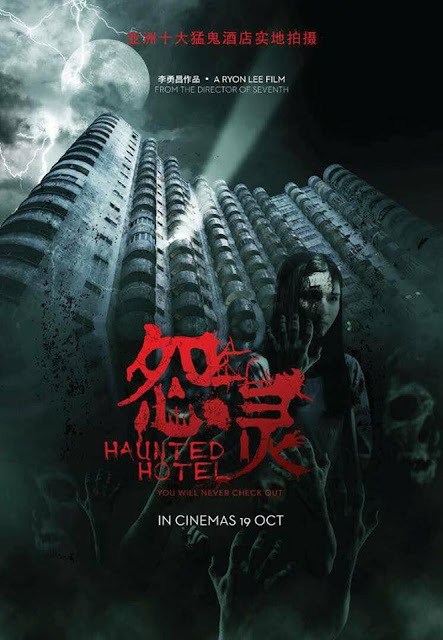 It is filmed at the Amber Court, one of the haunted hotels in Malaysia, and Karak Highway in Genting Highlands. 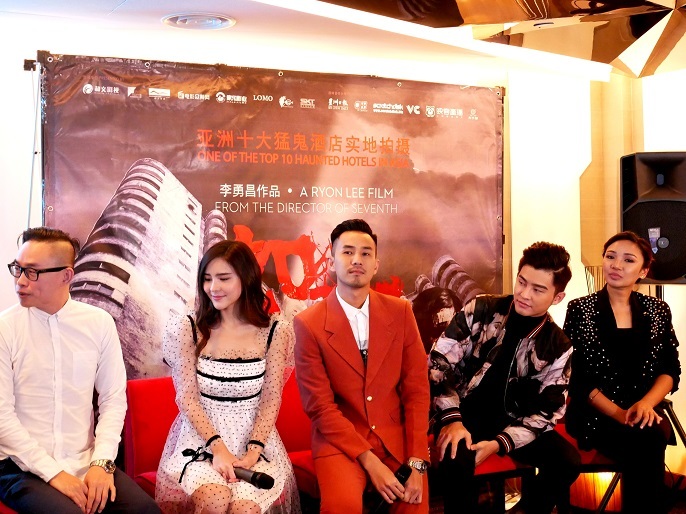 The movie showcase talents from 3 different counties; Sushar Manaying 李海娜 fromThailand, Teddy Chin 陈立谦 and Alvin Chong 钟瑾桦 from Malaysia and Li Chuan 李川 from China. It's my first time watching a movie at the latest MBO cinemas in The Starling Mall, with high improved image quality and biggest cinema screen in Malaysia. It is surely super awesome to have such excellent movie experience! The MBO premier provides a super comfortable and luxury setting with recliner leather sofa. 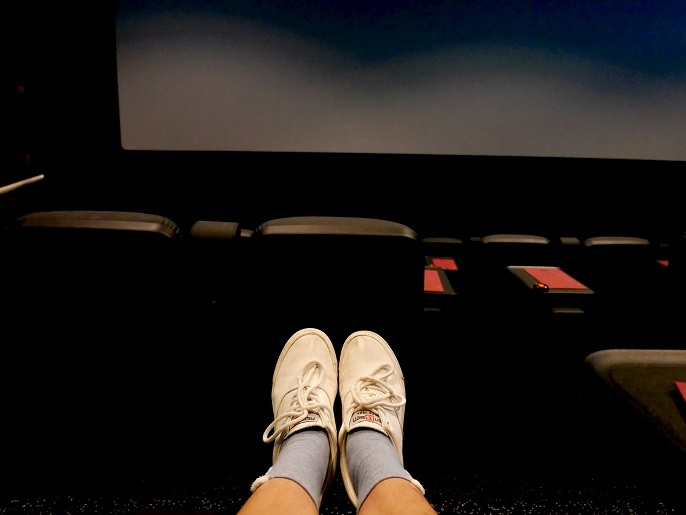 The sofa seat and armrest are wider, and my legs feel comfortable with the rest leg seat too! Also, a removable side table for a chilled-out time during the movies. 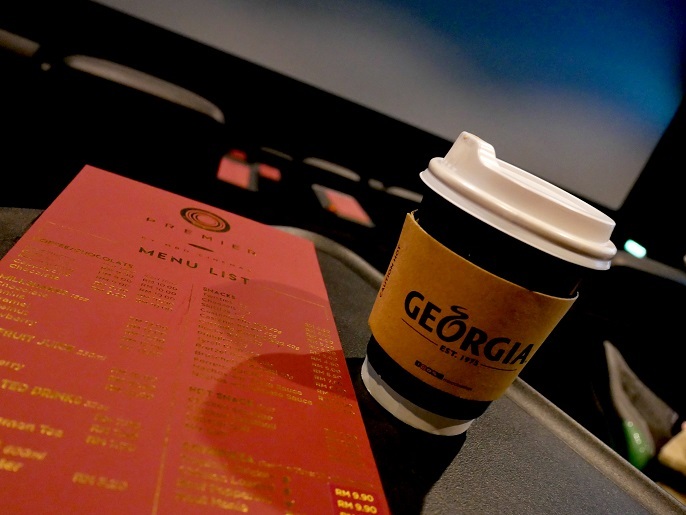 Though it's a premier cinema, but the beverages and snacks charges are at non-premium prices. For example, a hot Cappuccino is just RM9! Well, coming back to the movie synopsis. 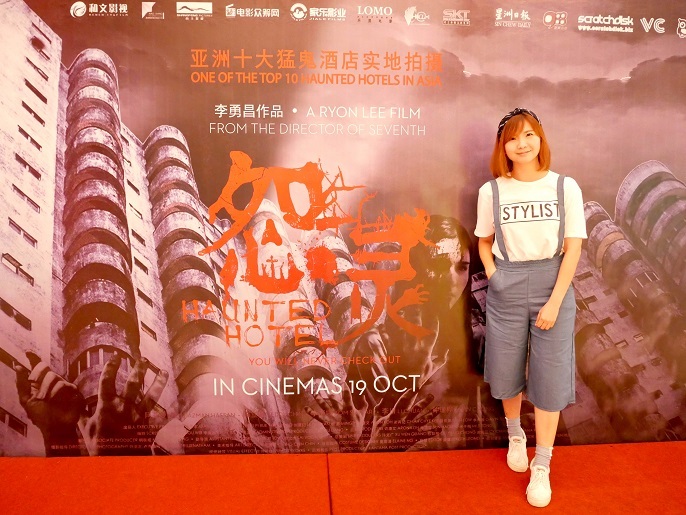 The Haunted Hotel is about a young couple from China traveling to Genting Highlands, and due to some unforeseen circumstances, they end up staying at one of the Asia's most haunted hotel, Amber Court's famous 1174 room. They wanted to leave the place soon after they realize the eerie situation that they are in, but it's not easy to escape the place at all. 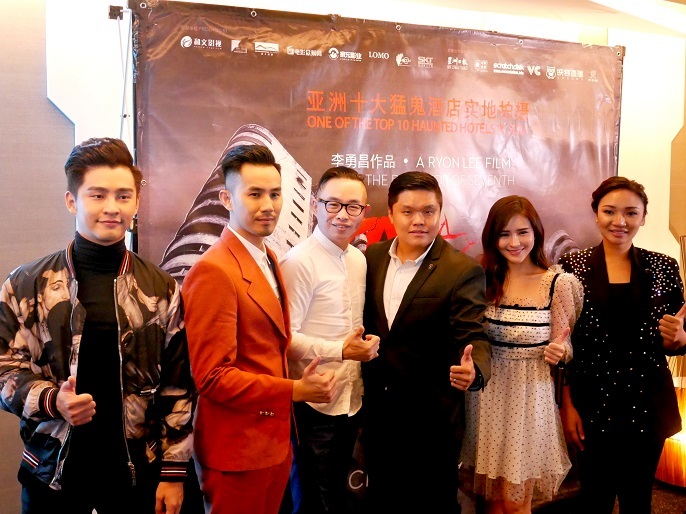 During the press conference, both director, Ryon Lee and producer, Aron Koh said that the reason they filmed the movie at Amber Court is because they wanted to promote Malaysia. 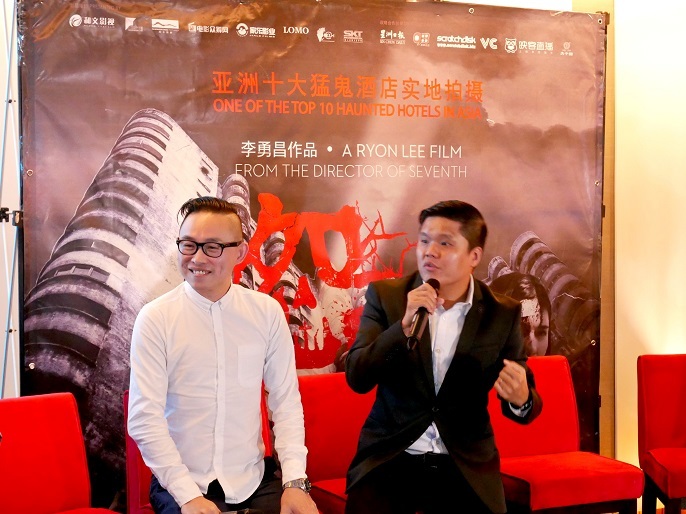 After knowing that Amber Court is the top haunted hotel in Asia, they both decided to make a movie of it. They even heard that there are 2 tourists coming over from China and heading to amber Court for a stay. The movie was filmed at it original location based on the story. Aside from that, the production team successfully recruited actors and actress from 3 different countries in the filming process. This is a fortunate opportunity toward the production team in making the movie more interesting. The whole movie had a unique story line which make it interesting to watch. Sometimes, horror movies might be lengthy at the beginning but this movie started with a quick intro and it contains certain horrors and suspects. I think this movie is worth a watch, not to mention it is filmed at the original place at Amber Court, there are also plenty of terrifying moments which are very lifting too. Haunted Hotel will be released at all cinemas on 19th October 2017 (Thursday). So, horror movie date, anyone? 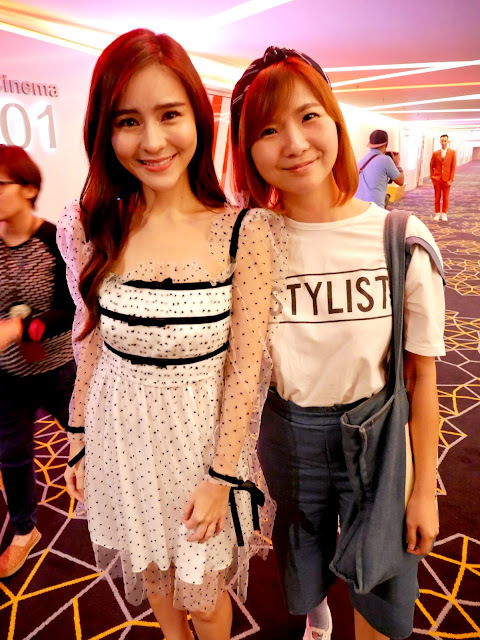 It's a great pleasure to have the chance of watching the premier movie and also seeing Sushar Manaying in person. Last but not least, here's the preview of the Haunted Hotel. If you enjoy horror movies, do give Haunted Hotel a go to show your love and support for a truly Malaysian film!